UFC President Dana White recently suggested that UFC lightweight champion Khabib Nurmagomedov could return to the cage in September. Speaking to the media in Russia, Nurmagomedov confirmed that this is indeed the plan, and that his potential return could occur in Abu Dhabi. Khabib Nurmagomedov also discussed a few potential opponents for his return to action. With Tony Ferguson dealing with personal issues and Georges St-Pierre retired, he sees the winner of Max Holloway and Dustin Poirier’s UFC 236 fight as the most likely option. From the sounds of it, Khabib Nurmagomedov considers the featherweight champ Max Holloway the more interesting option of these two fighters. “Holloway has a 13-fight winning streak, if he beats Poirier it will be 14 wins in a row, which is the longest active winning streak in the UFC, if he wins he will also be a two weight champion. Fans would also be more interested in a Holloway fight,” he said. 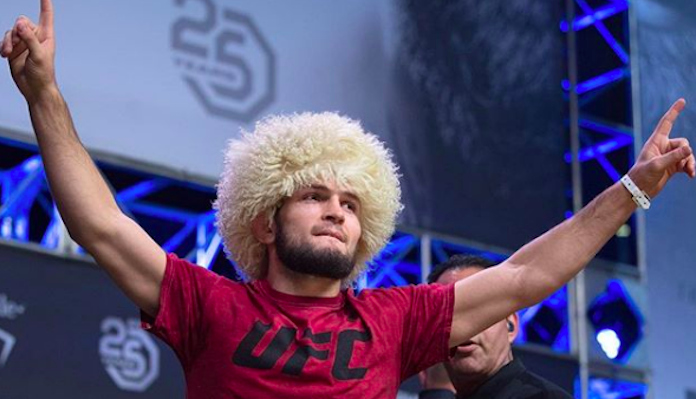 Who do you want to see Khabib Nurmagomedov fight next?